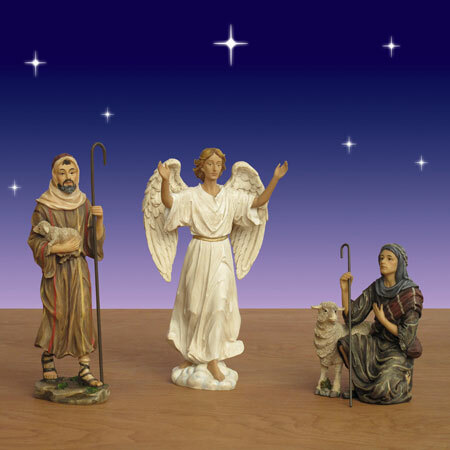 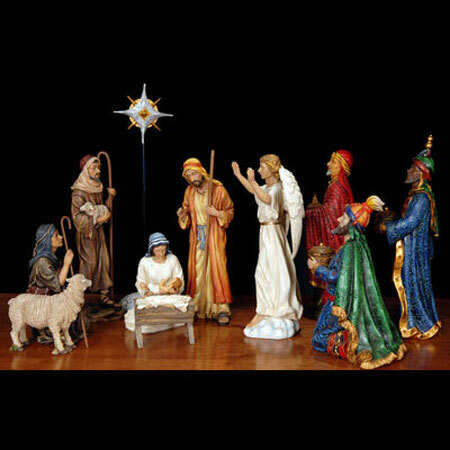 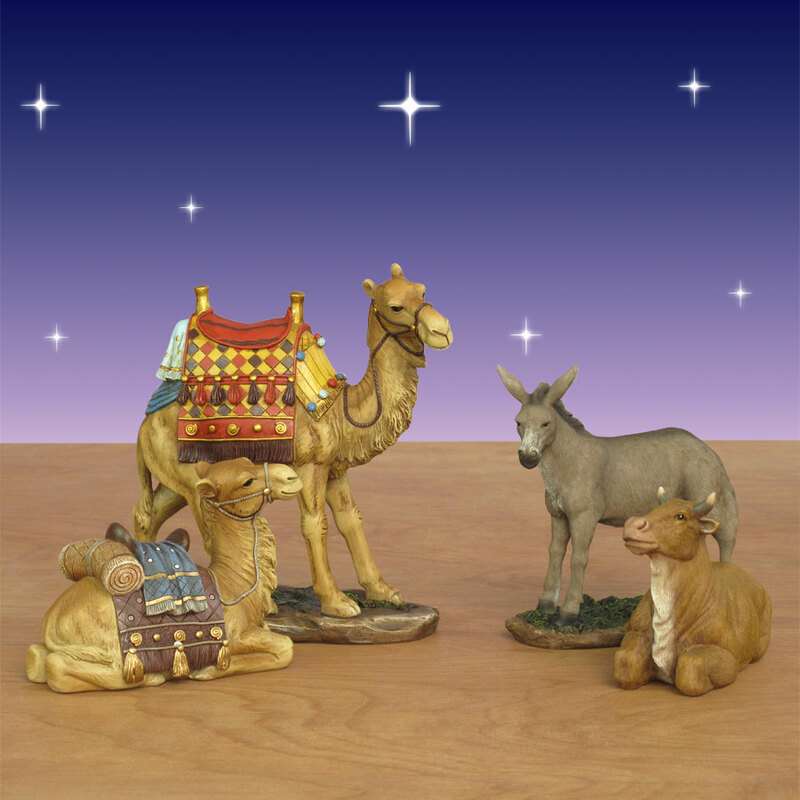 Bring your indoor nativity scene to life with these intricately hand-painted nativity animals made by Three Kings. 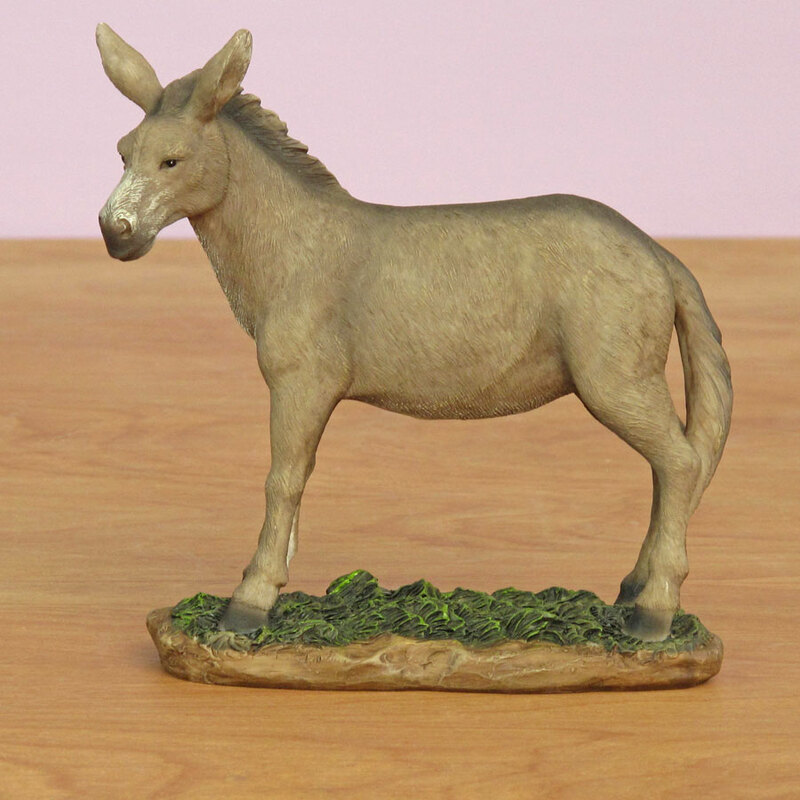 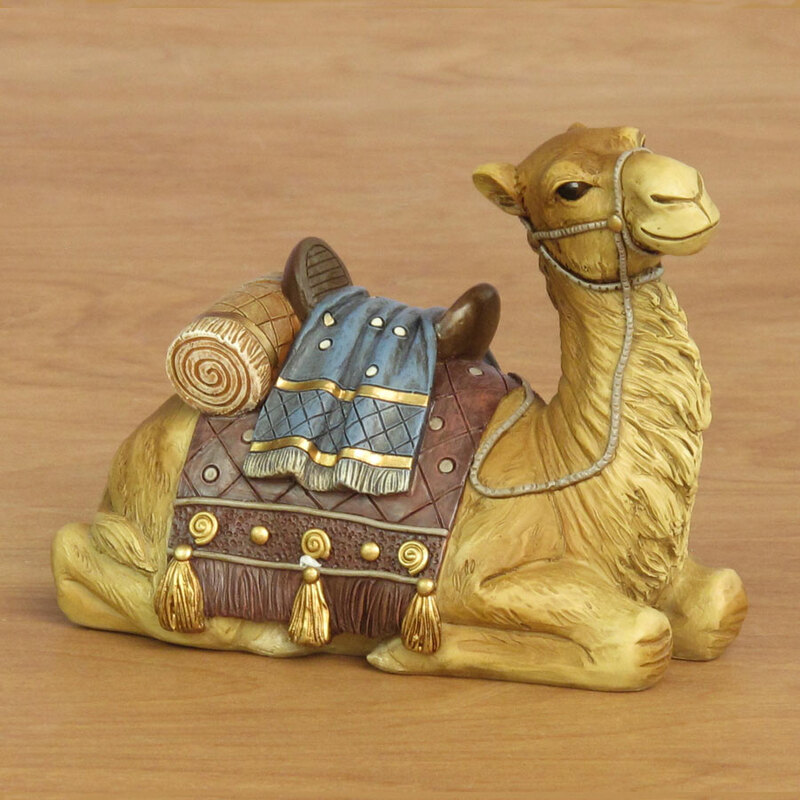 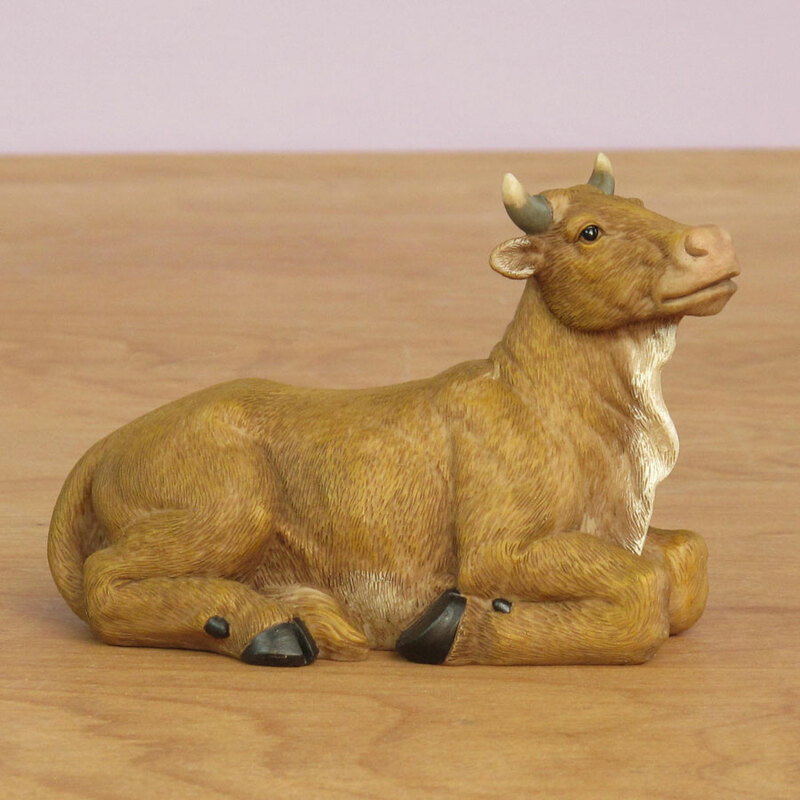 The set includes four realistic animals made from polymer resin, including a standing camel, a sitting camel, a donkey and an ox. 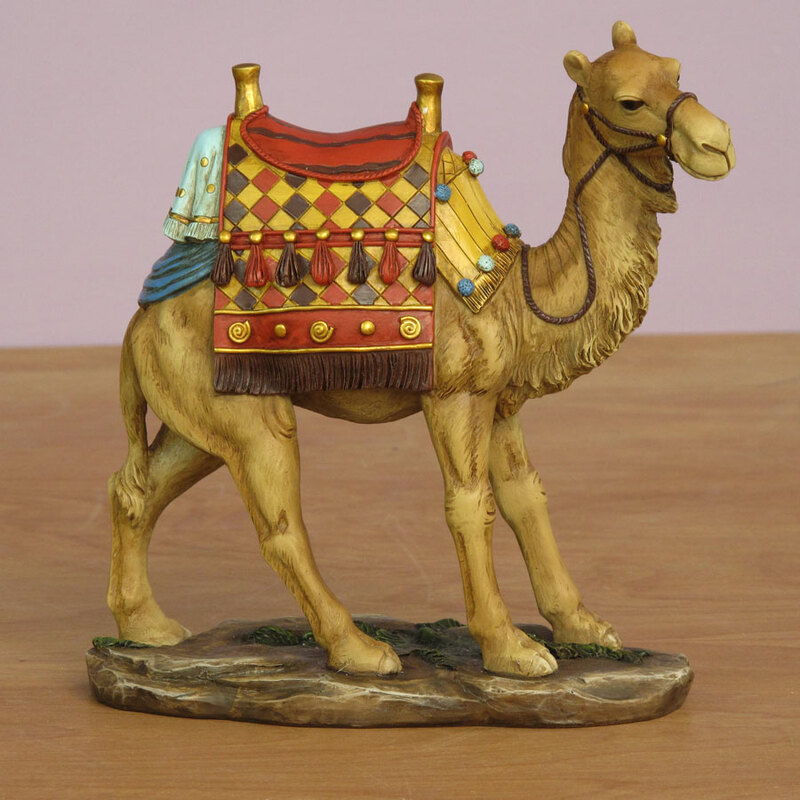 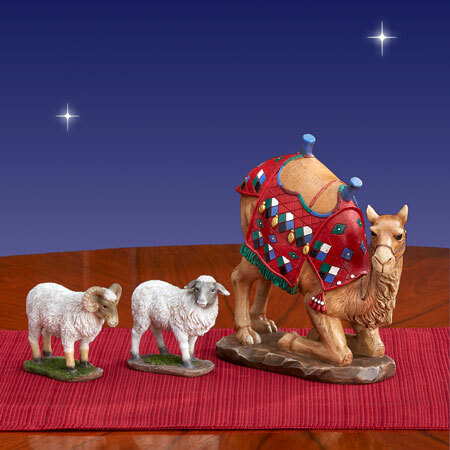 The nativity camels are intricately painted with authentic saddles for a colorful Old World touch. 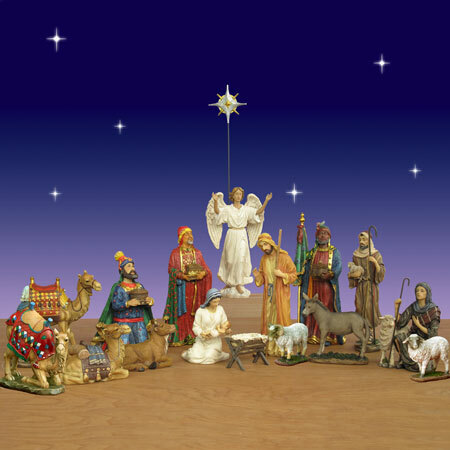 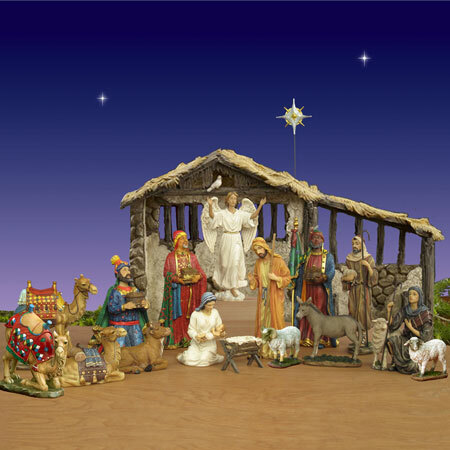 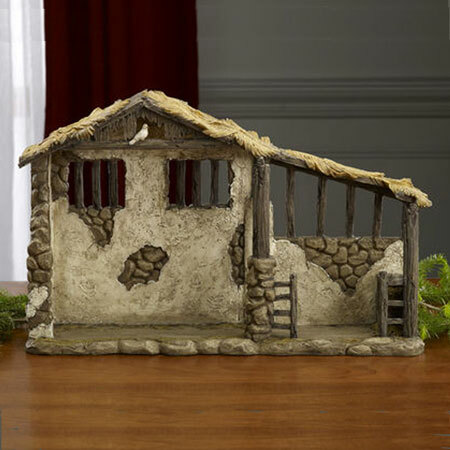 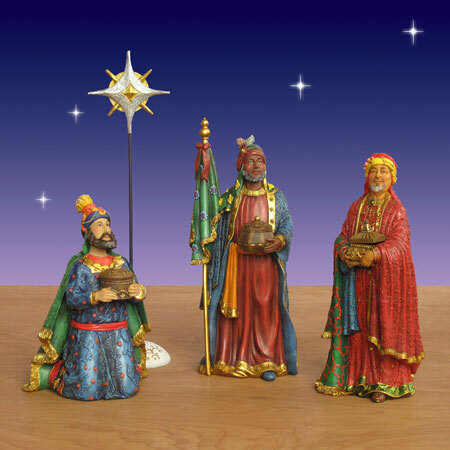 They are also sold as part of the Three Kings Real Life Nativity Collection from Christmas Night Inc.
Dimensions: Donkey - 5" by 5.62"; Ox - 3.75" by 6.25"; Sitting camel - 4.5" by 6.12"; Standing camel - 8.5" by 8.25"